There’s no better way to make a grand entrance than with us. 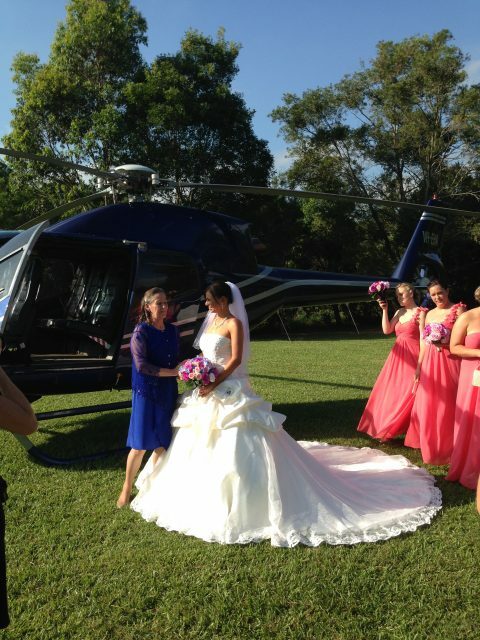 Make your wedding day spectacular with limousine and helicopter transfers to your wedding venue for the bride or full bridal party and guests. We take care of all your transport needs to take as much stress as we can out of your wedding day. Our limousine partner will collect you to transfer you to the helipad, where you’ll be greeted on arrival with sparkling wine. We can then take one trip or several to your venue in the helicopter, depending on your needs and the number of people you’d like to fly. 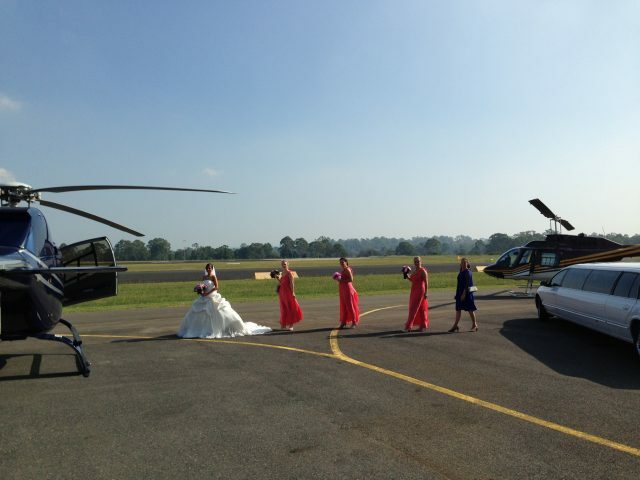 Just picture it – arriving at your wedding like a superstar! Your hair and dress will stay intact as we start-up after boarding and do a full shutdown after landing. We’re more than happy to allow time both before and after the flight for photos, because we know how important it is to capture your amazing day. And, we plan for every possibility. We really hope it’s not the case, but if the weather prevents our flight the limousine will take you and your party all the way, Your deposit secures the limousine for the full trip just in case, so if you’re unable to fly there’s no more to pay. Want to hear more? Give us a call and we can outline it all. Just wanted to send you, Garry and Damian a massive thank you for your service and hospitality on Saturday and Monday during our travels to and from Spicers Peak Lodge. Tim and I had a wonderful time and we will definitely be in contact for future helicopter adventures. Your communication and service was impeccable! 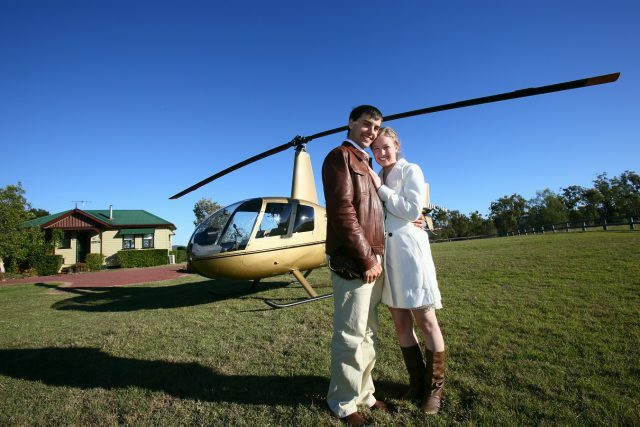 Have a question about Wedding Helicopter Transfers?